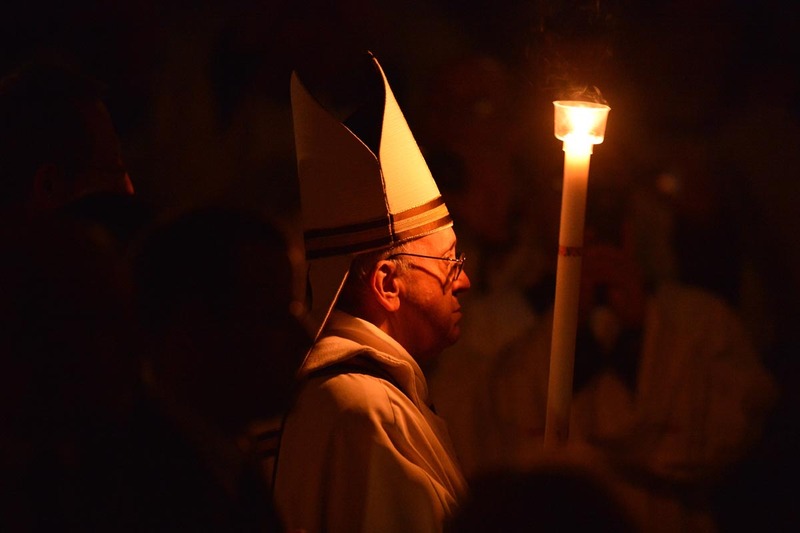 Journeying through the Triduum and a Blessed Easter! 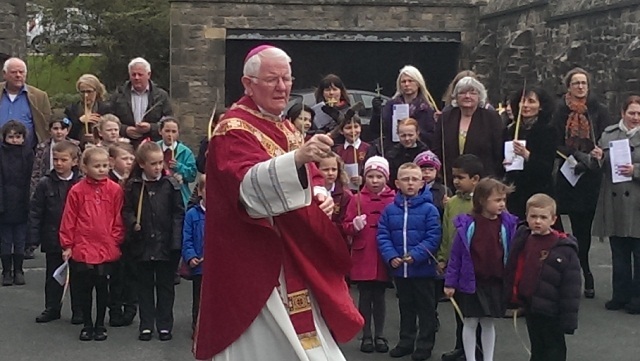 In Lancaster on (last) Palm Sunday, the Cathedral parish and around 50 children and families from the Cathedral Primary School gathered outside Cathedral House for the blessing of the palms. After the blessing of the palms, we sang and processed across the gardens entering the main doors of the Cathedral for Mass. The children in key stage 2 joined in with the reading of the Passion and did so very well indeed! On the Wednesday evening of Holy Week, in keeping with our diocesan initiative ‘The Light is ON for YOU’, I took my turn in St. Peter’s cathedral at hearing Confessions. 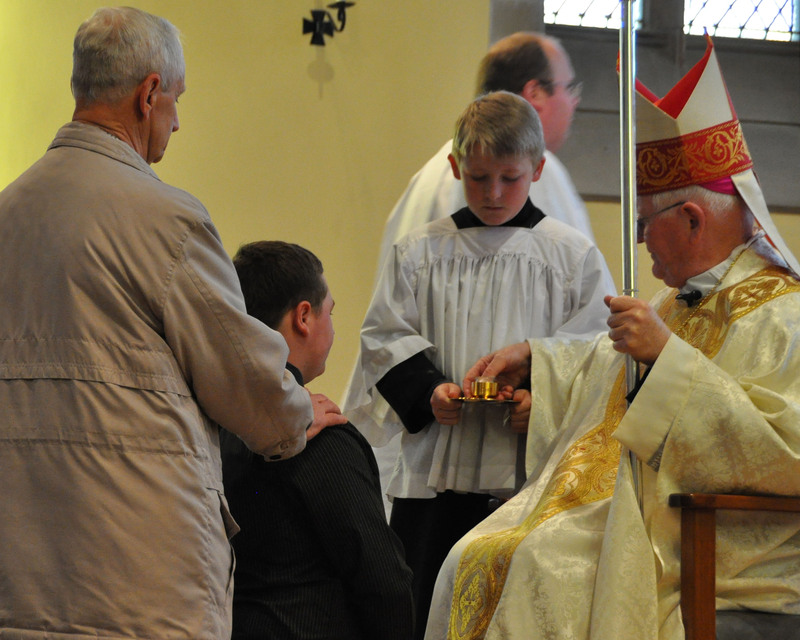 This initiative entailed a two hour period on this particular Wednesday in the most of our churches within the Diocese, and from the few initial comments I have heard confessors were kept busy. I dare to think that there is something of a return to the practice of this wonderful sacrament of Christ’s mercy in the lives of our Catholic people. 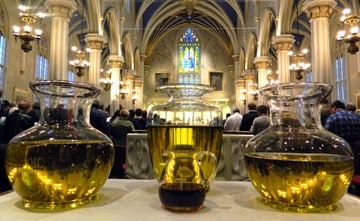 The Diocese of Lancaster has adhered to the custom of having the Chrism Mass on Holy Thursday morning, at which the oils of catechumens, the sick, and chrism are blessed. During this Mass all priests throughout the world renew the promises they first made on their ordination day. From the remarks both priests and people made to me afterwards, many found this Mass to be a very prayerful and moving experience. In truth it is a unique moment and replete with significance. 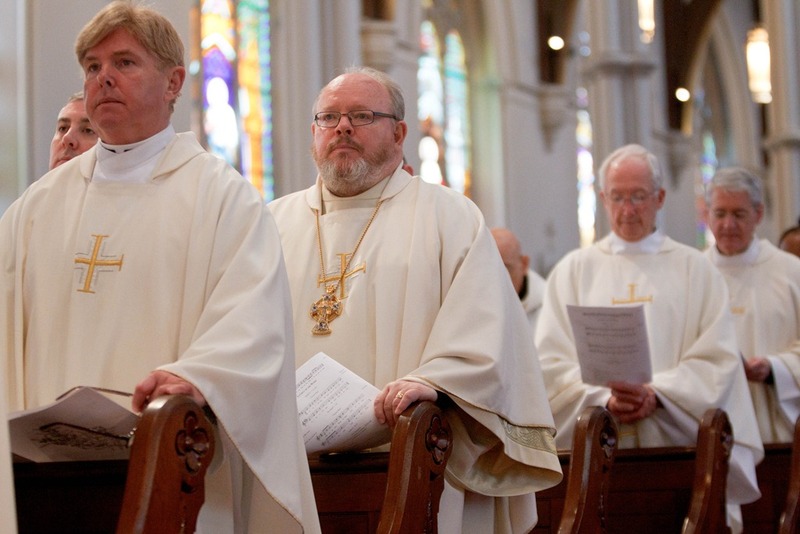 The Mass of Chrism does not form part of the Triduum of Holy Week, but the renewal of priestly vows and the consecration of the oils which are to be used in the administration of the sacraments in every part of the diocese in the coming twelve months, do focus our attention on the priesthood of Christ and his constant salvific activity whenever his priests administer the sacraments. 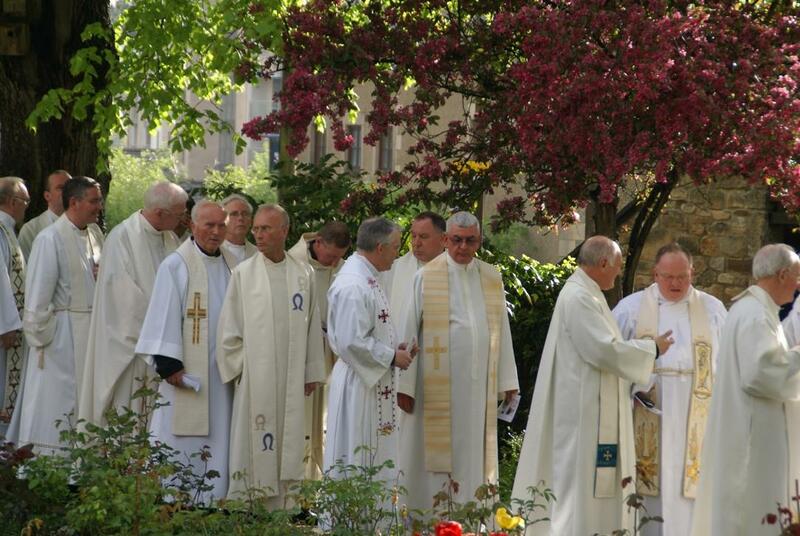 This gathering of priests and peoples at the Chrism Mass serves to underline the essential importance of priests in the life of the Church, and the obligation on all of us, priests, deacons, religious and laity alike to create an atmosphere favourable to vocations to the priesthood, above all by prayer and words of encouragement to those considering a call from the Lord to the ministerial priesthood. 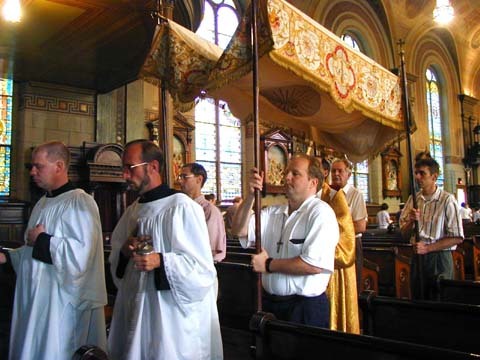 Wherever you are, dear blog reader, do please beg in prayer the Lord of the harvest to bless his Church with priests! 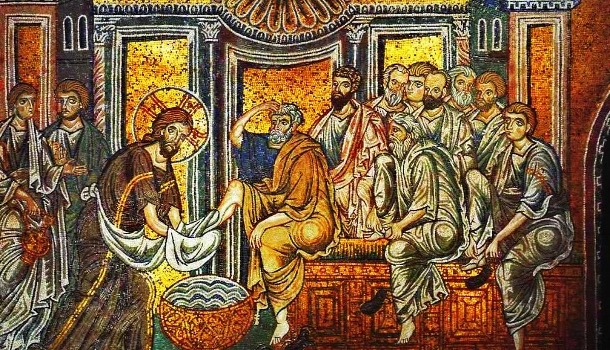 The deeply symbolic action of the washing of the feet, in imitation of what Christ did to the Twelve, underlines the link between receiving the body and blood of the Lord and service to others. We need to remember that Holy Communion is not only a private matter between the Lord and myself, but has wider implications for Christian living. At the end of this Mass, the Blessed Sacrament was carried in solemn procession to the altar of repose where we have the opportunity to spend some time in prayer and reflection, ‘watching with the Lord’ during his agony in the Garden of Gethsemane. It is indeed a time of quiet, kneeling or sitting silently with our Lord. The Liturgy of Good Friday, usually taking place at 3.00pm, the moment when Christ died, allows us to live through his last hours as the Suffering Servant, depicted and foretold by Isaiah the prophet in our opening reading, until he was finally laid in the tomb, his earthly life complete. 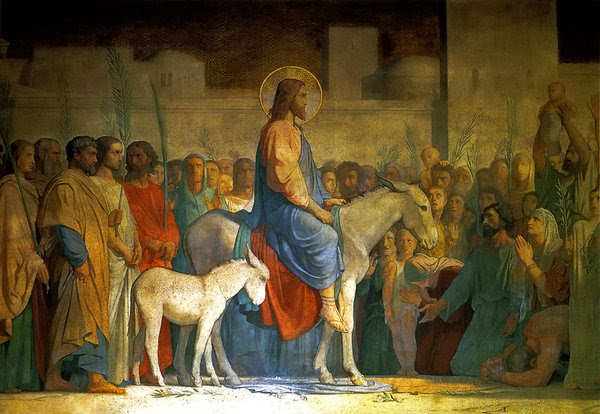 We hear the Evangelist John’s account of the Passion which is always, in my experience, listened to by the congregation in absolute silence, as if people were absorbed by and caught up in the drama. The unveiling of the cross and the patient queue of those who wish to venerate it in quiet, indicates just how deeply consciousness of the centrality of the Lord’s cross is rooted in the faith of our Catholic people. The prayers of intercession which follow are universal in scope, reflecting the scale of Christ’s redemption. He has by his cross and death redeemed the whole world. This solemn, perhaps even sorrowful Good Friday Liturgy, concludes with Holy Communion from hosts consecrated at Mass on the previous evening. By our communion we share sacramentally as a community of believers in the Lord’s paschal mystery. We depart from the church in a subdued silence leaving, as it were, the Lord in his tomb. 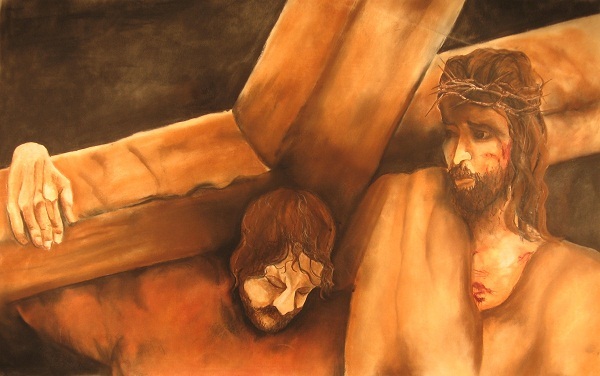 Each of us is left to his or her own thoughts of how God so loved the world that he gave his only Son…..
On this Holy Saturday we await in faith and hope for God the Father to justify his faithful, suffering Servant. With this I wish all of you the blessings of Easter and the joy of the risen Lord! 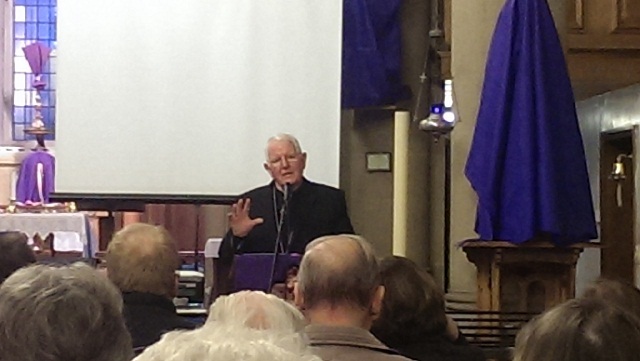 Last Monday evening in the church of St. George the Martyr Preston, I gave the concluding reflection of a Lenten series on the Passion of the Lord. 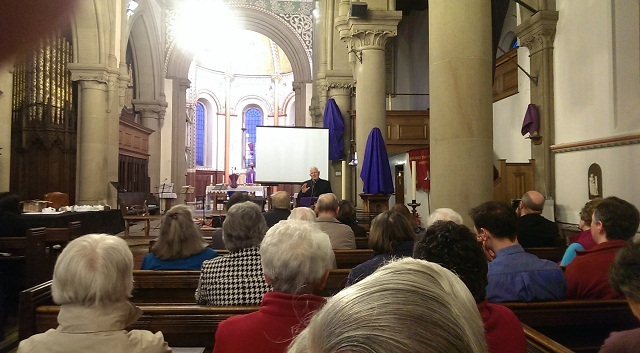 These talks were a commendable local ecumenical venture for the season of Lent in the Preston area and were well attended by members of the various Christian traditions. 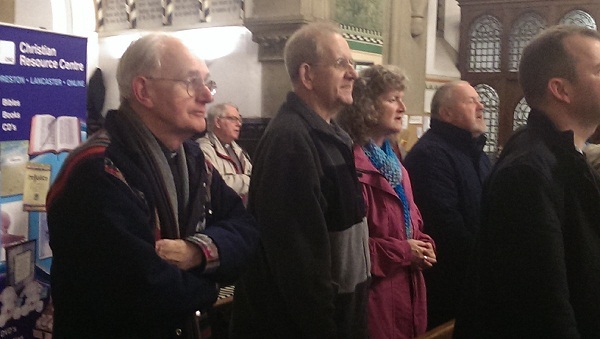 It was encouraging to see Christians gathered for prayer and worship and to hear a reflection on some aspect of the Lord’s suffering and death, in this way nurturing their spirituality and faith for Holy Week and the coming solemnity of Easter. ‘One way of approaching the story of Christ’s Passion is to view it as a tableau or a drama having a range of actors, some playing major parts and others have less prominent roles. We think primarily of course of Christ as the principal actor who holds centre stage in this drama. Then there is Pilate who would ultimately pass the death sentence on Christ; the chief priests and Jewish Council, the Sanhedrin. All four gospels recount factually and without comment the denial of Peter, the first among the Apostles. 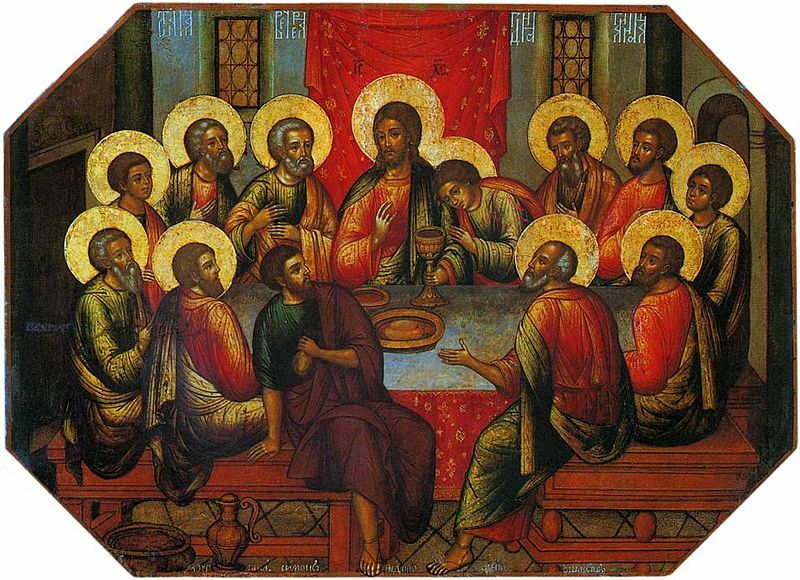 There is Judas who betrayed him, and his closest friends and disciples, the Apostles, who fled the scene when Christ was arrested. 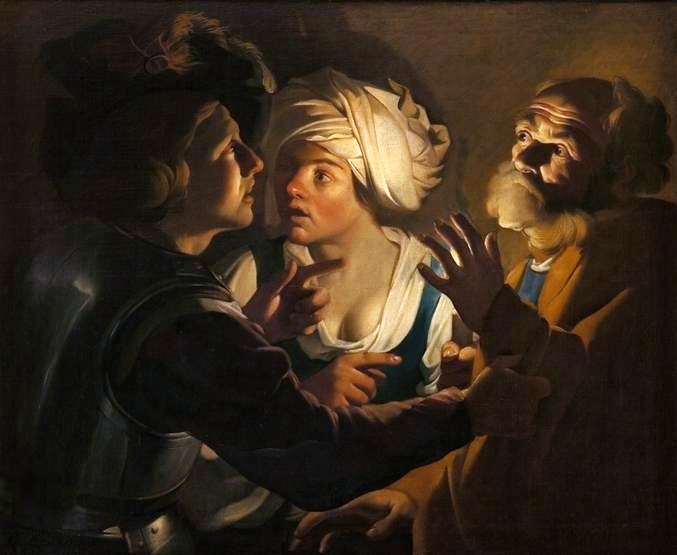 Minor actors might include the servant girl who caused Peter to disown Christ, or the young man in Mark’s gospel who fled naked at the arrest of Christ (was it Mark himself?). Then there is Simon of Cyrene who was forced to assist Christ carry his cross on the way to Calvary, and the women of Jerusalem who bewailed Jesus as he was being led to crucifixion. The scene at the foot of cross, especially in John’s gospel, constitutes a mini-drama in its own right, where Jesus commends his mother to the beloved disciple and the beloved disciple in turn to the care of his mother. This particular scene has been depicted countless times in art and religious representation, and the figure of the mother of Christ finds powerful expression in the Medieval Latin hymn ‘Stabat Mater’, so movingly set to music by, among others, the Italian composers Pergolese, Vivaldi and Rossini. The continuing powerful attraction of the Passion drama is evidenced during Holy Week in such traditional Catholic countries as Spain and the Philippines with their elaborate Passion processions. The English conductor, John Eliot Gardiner, has recently written a life of Johann Sebastian Bach in which he muses aloud at how performances of Bach’s Matthew and John’s Passion continue to draw packed and fascinated audiences to the concert hall, notwithstanding the apparently secular age in which we live. The enduring attraction of Handel’s Messiah, e.g., the aria ‘ He was despised’ also offers food for reflection. As we listen to and ponder on the gospel accounts of the Lord’s Passion we are at once struck by their apparently factual and narrative style. Apart, perhaps, from references to the fulfilment of Scripture (The Old Testament) the story in all four gospels is allowed to speak for itself as it unfolds. Each of the Evangelists adds little by way of interpretation, nor do they exaggerate or dwell on the physical brutality inflicted on Christ, e.g. the scourging, crowning with thorns, his being nailed to the cross, his last hours on the cross, and finally his burial. 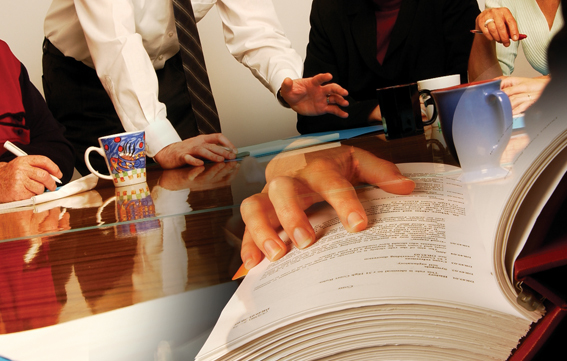 The reader/listener is invited to judge for his or herself. Christ’s betrayal, maltreatment and the gross injustice perpetrated on him are there for all to see. 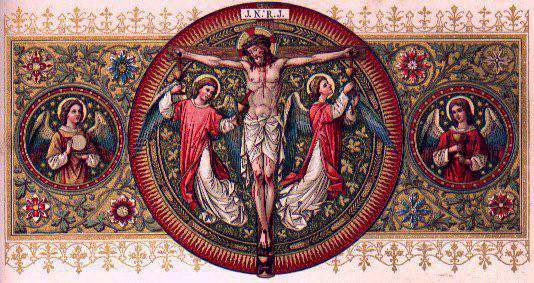 In the Catholic liturgy of Good Friday the reading of John’s account of the Passion is heard in absolute silence. The congregation is consciously drawn into the drama, with each person present permitted to make to engage in their own meditation and prayerful silence. The perceptive Christian listening to this gospel and hearing how Christ’s side was pierced by a soldier, resulting in the outpouring of blood and water, will surely associate these elements with the fundamental sacraments we know as baptism and the Eucharist. This same Christian might take his reflection further and gain the insight of how the fourth Evangelist is clearly implying that the crucified Christ is the source of the Church’s sacramental life. The theme of Christ’s innocent suffering will also evoke memories in the observant listener of the great Old Testament figures who suffered unjustly, e.g. 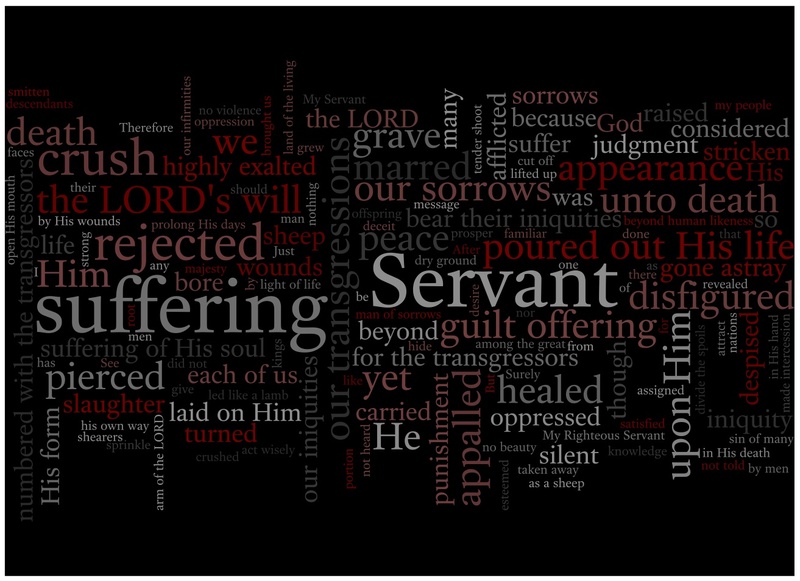 Jeremiah, and above all the so-called Suffering Servant in Isaiah 52-53. What we are not permitted to be is mere bystanders or simple spectators of this drama of Christ’s passion. As we read or listen to we find ourselves caught up in it. The well-known hymn quoted by St. Paul in his letter to the Church at Philippi describes the Incarnation as the self-emptying of Christ – he leaves aside his Godhead, assumes the condition of a slave, and becomes obedient even to the extent of dying on a cross (Phil. 2:6-11). The Christian can only wonder at the depths of Christ’s divine love for humanity which impelled him to walk the road to Calvary. The words of hallowed hymns – ‘When I survey the wondrous Cross’, ‘My song is love Unknown’, ‘O sacred head ill-used, – and sacred music already mentioned, such as Bach, Pergolese, can help us enter into the spirit of the Passion and the sacred time which is Holy Week. Yet ultimately we can only stand silent in the face of mystery, of the divine condescension, of the infinite love of Christ. 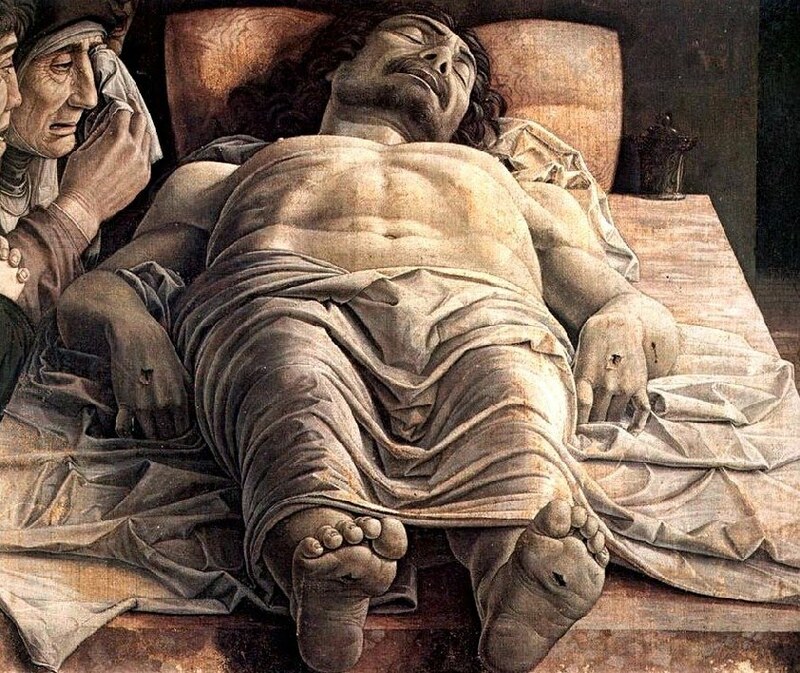 The emptiness of Holy Saturday adds to the human desolation, as we ponder on how Christ embraced and experienced to the full the lot of the ‘sons of Adam’. 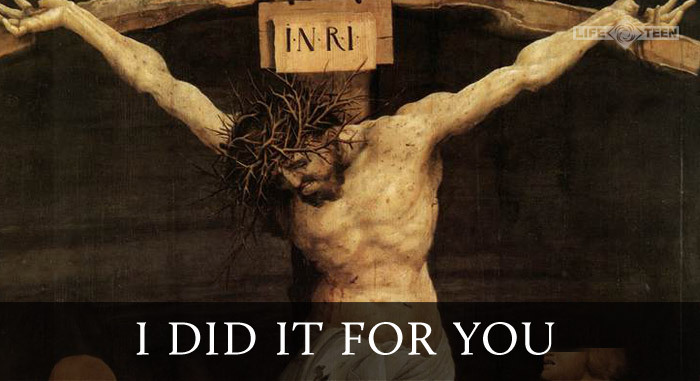 Christ’s Passion, however, must not be viewed in isolation; we must not stop there. His dismal and horrifying death would not mark the end of the story. As Christ would say several times in John’s gospel his Father remained always with him, because he came exclusively to do his Father’s will. Mysteriously and incomprehensibly, God was at work even in the depths of his suffering and would finally reveal his hand in the splendour of Easter morning, when Christ would rise glorious and victorious over suffering and death. 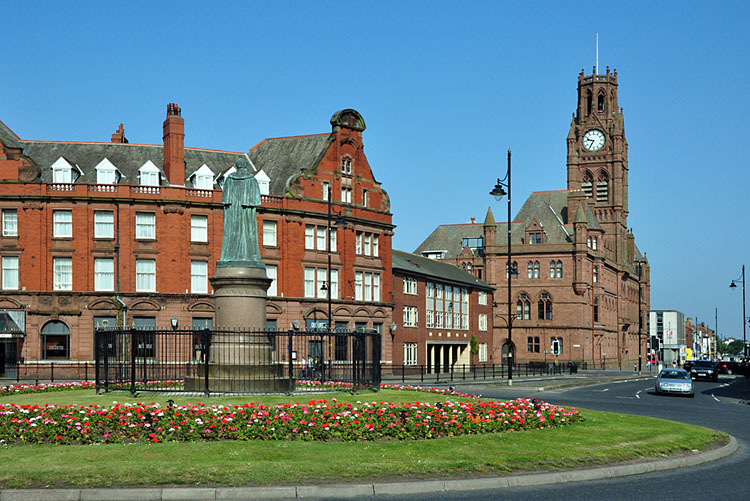 On Friday morning I travelled to the Furness peninsula and returned to St. Pius X Primary School, Barrow, to offer a concelebrated Mass with the local clergy in thanksgiving for their Ruby Jubilee. 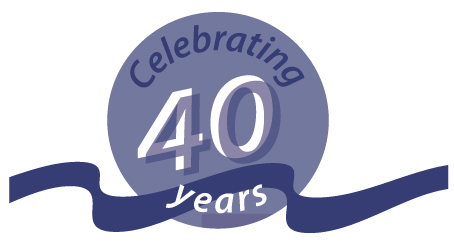 A number of those pupils who enrolled on that first day all those years ago were actually present yesterday forty years later! 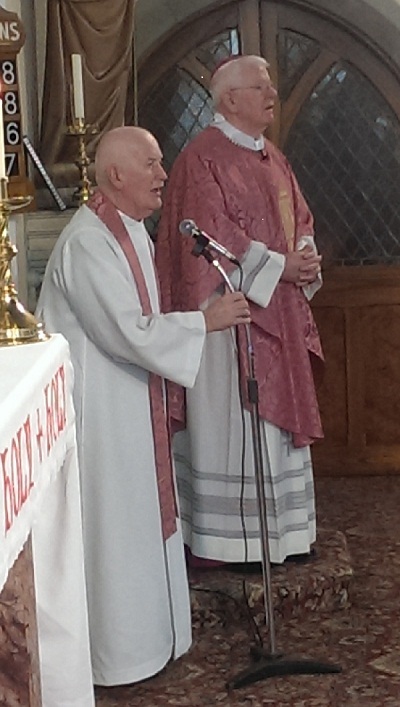 In my brief homily I spoke of the past, present and future. We thought with gratitude of those who founded the school, priests and parishioners, many of those no longer with us, but whose inspiration lives on. 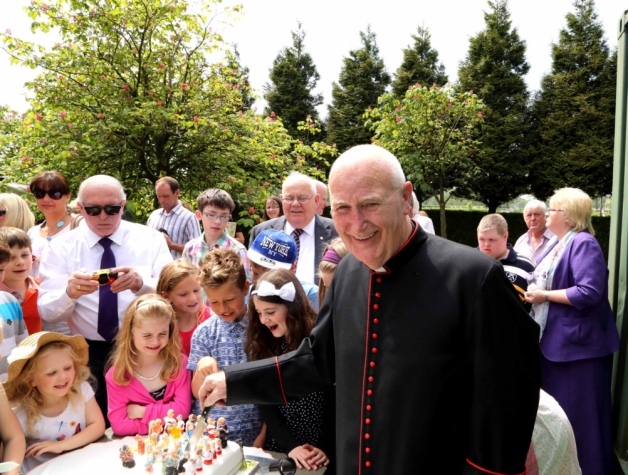 I spoke to the present children and staff and of their task to nurture and support each other in developing their God-given gifts, for a Catholic school is first and foremost a Christian community. In conclusion I wished all the school well as it moves beyond it first forty years and into the future. May St. Pius X School continue to be a beacon of faith and learning for all who pass across its threshold! As we are about to enter into Holy Week, I stress again the importance of the Sacrament of Reconciliation for us as Catholics. Through this Sacrament of Mercy we make our own the saving merits of Jesus Christ which he gained for though the events of that first Holy Week, when he suffered the death of the cross to bring us God’s peace. Christ the Good Shepherd is waiting to welcome us. May we not be slow in approaching his throne of grace! 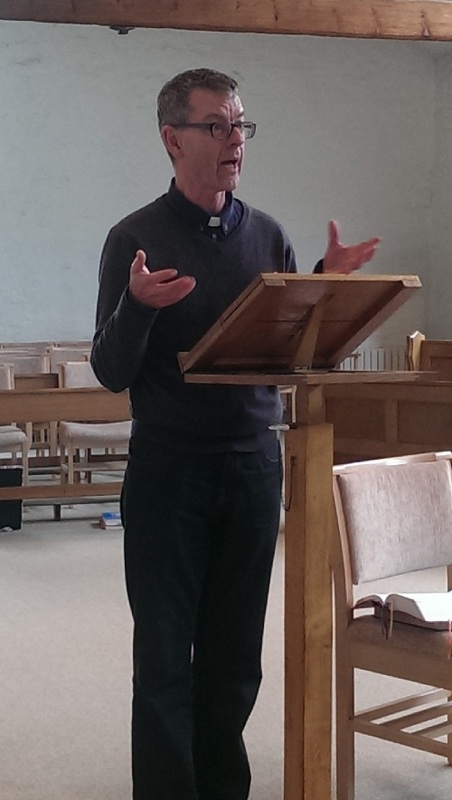 Visiting Alston Lane Parish this Lent & An Announcement for Preston! 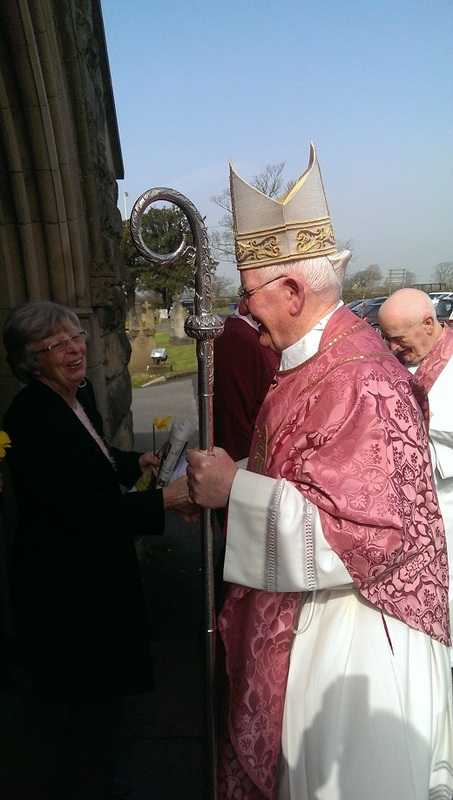 My last pre-Easter Parish Visitation within the Preston deanery took place last weekend at Our Lady & St. Michael’s, Alston Lane, a parish which closely adjoins the town of Longridge and thereby the diocese of Salford. 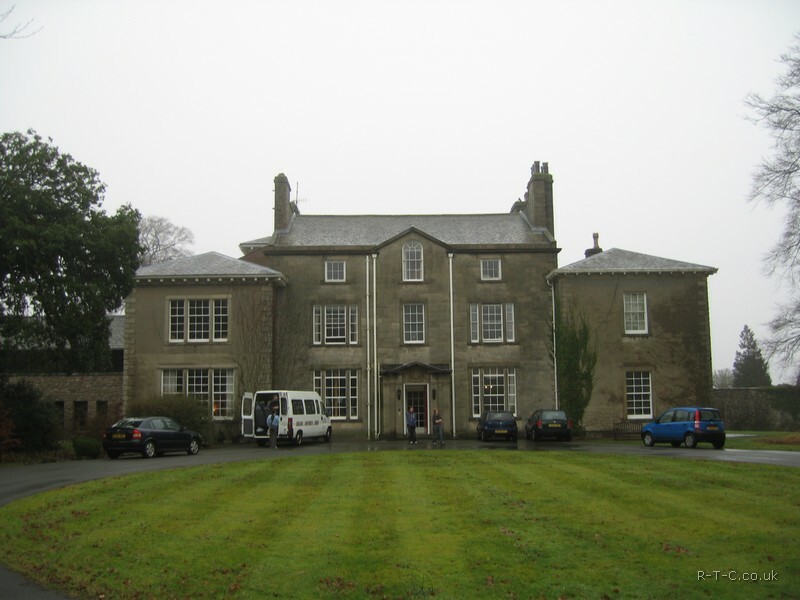 Despite its proximity to Preston, Alston Lane parish retains a rural air and gives a sense of still being in the countryside. 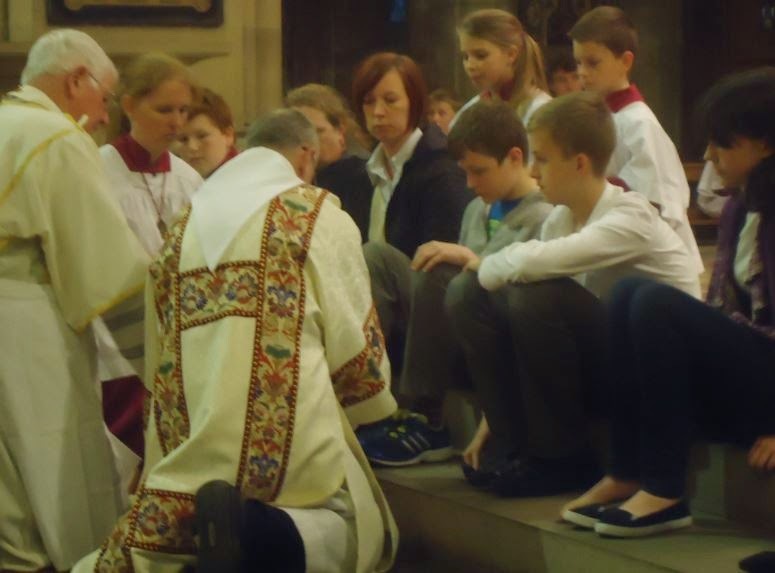 I was pleased to be present and meet parishioners after the Saturday Vigil and Sunday Masses, while on Saturday evening I was fortunate to speak to the children preparing for Confirmation next month. On Sunday morning between and after Masses I accompanied the devoted parish priest on a visit to the sick and housebound as he gave them Holy Communion. 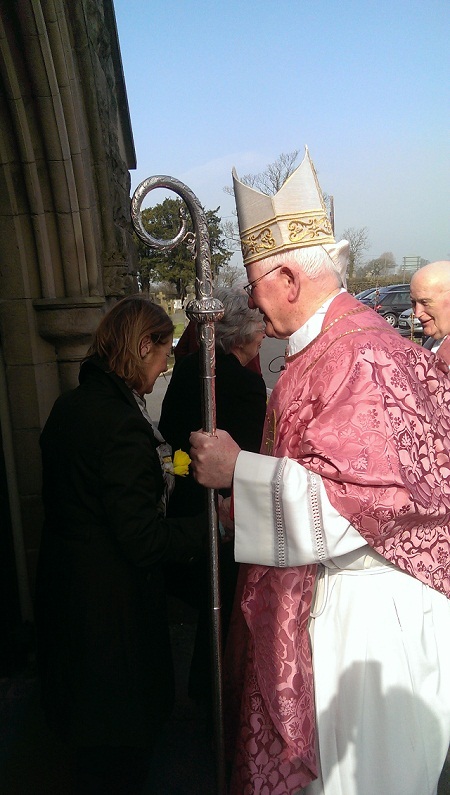 Such visits are an integral part of a parish Visitation by the bishop, and the welcome extended to me by these frail parishioners indicates just what value they place on seeing and meeting the bishop. 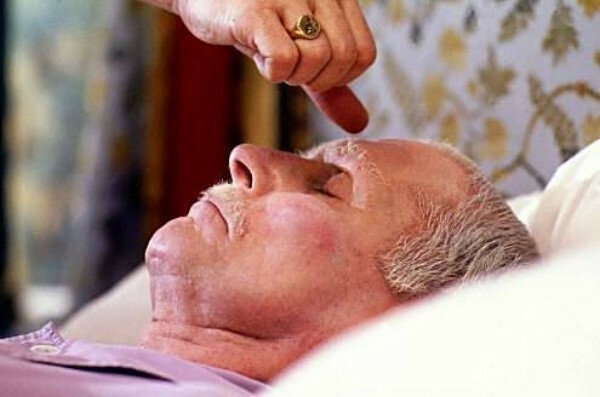 The grace and dignity they so often display despite their physical weakness is a sign of their closeness in faith to Christ and of their trust in his reassuring presence. 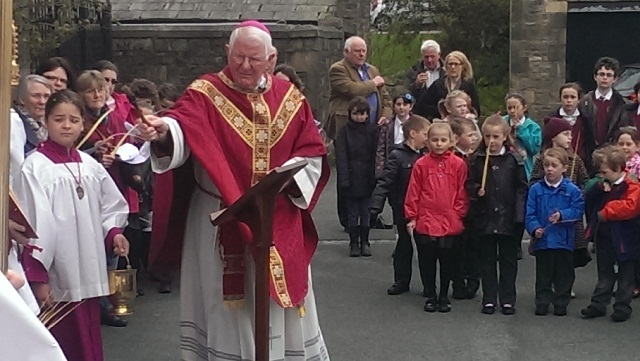 I returned to the parish on Monday morning where I celebrated a Lenten Mass for the children and staff of Alston Lane Catholic School and then went over to visit the school afterwards, thus bringing a pleasant and satisfying parish Visitation to a close. 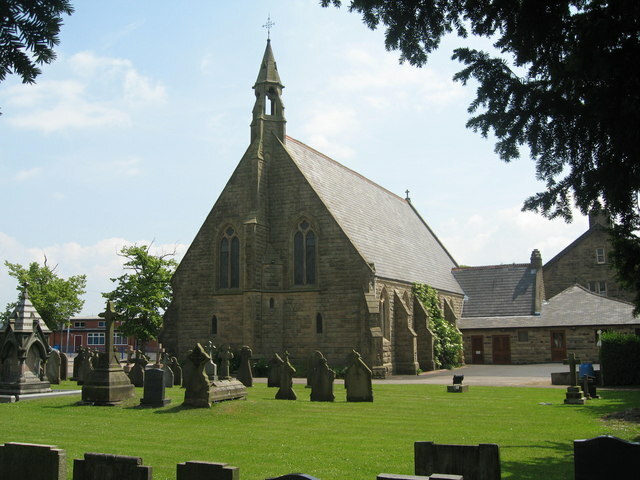 An important feature of Alston Lane parish is the beautifully maintained cemetery in the church grounds which always attracts visitors and the relatives of those interred there. It was touching to observe last weekend the array of flowers on the different graves as families marked Mother’s Day. 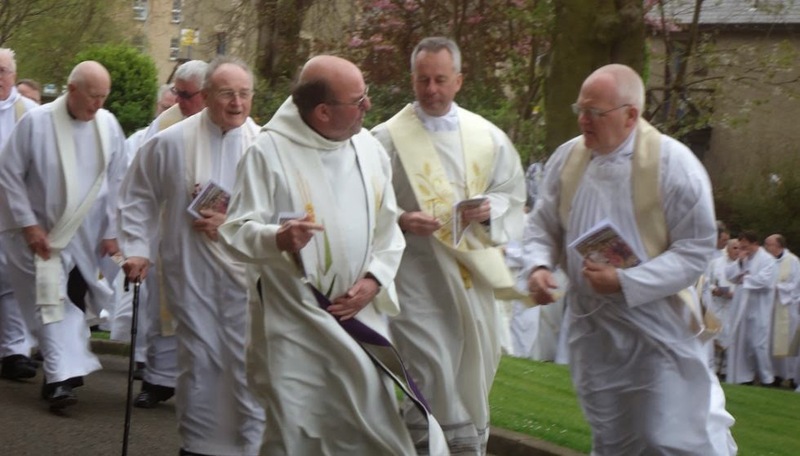 The week continued with the monthly meeting of the diocesan trustees on Tuesday, and again I express my thanks to our trustees for the generosity of their time and skills which they so freely give in the service of God’s people in the Diocese of Lancaster. 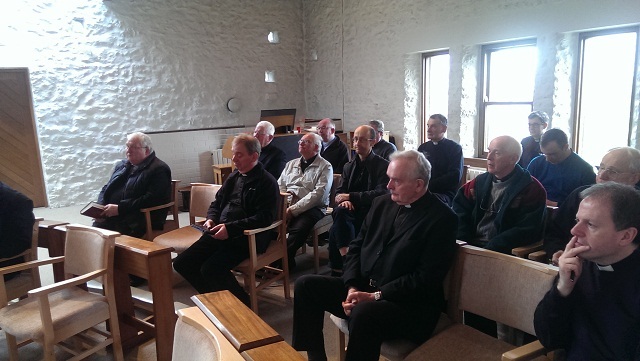 It was the turn of the Council of Priests to gather on Wednesday for their twice-yearly meeting. This body, representative of the priests of the diocese, share responsibility with me for the running of the Diocese and hear reports on the different areas of diocesan life, for example, Youth Ministry, Finance, Education, and other topics which come under their brief. 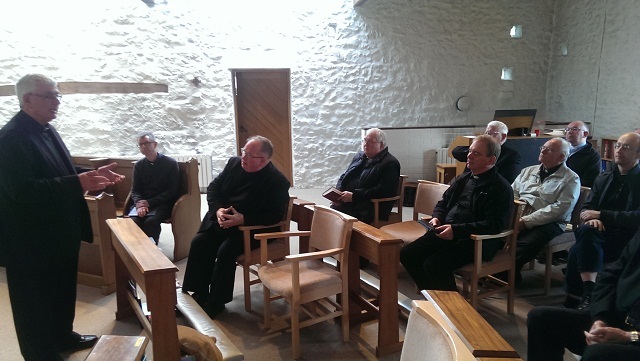 Finally, on Thursday, a good number of us priests met at the Bernardine Convent of Hyning Hall, near Carnforth, as part of our ongoing formation. The theme of the day was the Sacred Triduum of Holy Week, particularly the liturgical texts set to music in the new translation of the Roman Missal which the priest celebrant may sing. 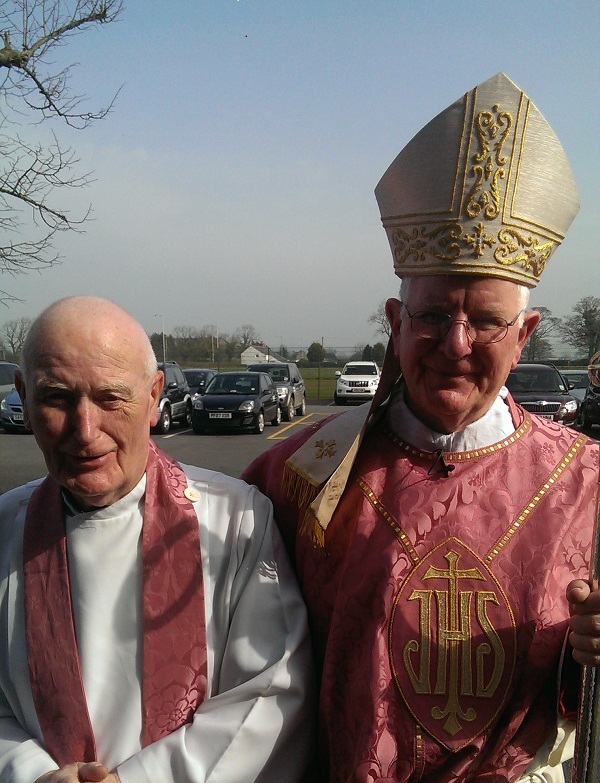 It was an excellent and worthwhile day, and a useful refresher course for us on the liturgy of Holy Week. As we enter into the season of Passiontide I encourage all who read this to reflect just a little more on Our Lord’s last days on earth and, as Pope Francis urges us, take a line or two from Scripture – particularly the Gospels – each day and turn it over prayerfully in our minds. The Holy Father – who received the Queen this week in Rome – assures us that such a practice will make a real difference to our day!